Have you recently purchased hair extensions for the first time? Or is your hair short, and can't figure out how to get your extensions "just right"? 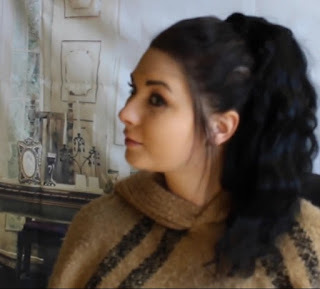 Save yourself some time and watch this tutorial on how to blend short hair with extensions! Save yourself a ton of time and trouble! Not only can this style be worn any time of the year, it is so easy. You don't need any special skills, or techniques.. just a curling iron and a brush! This style can be done with or without extensions, it is definitely one of our favorites-especially for special occasions. Only have about 5 minutes to be out the door? Check this out! This quick tutorial shows how to get this cute braided headband with your extensions... Don't have extensions? Follow the same braiding/placement steps, and get the same results! It's so simple but doesn't look like it would be (our favorite kind of hairstyles!). Here is that sleek pony we mentioned earlier.. how cute is this?! Check out how to get this style with Queen C's Clip & Tie Ponytail!